Why Should I Have A Personalized Domain Name? Buying your own domain name has never been easier, and you’ll be hard-pressed to find a good quality website that doesn’t have a domain name. Yet as obvious and logical as it seems, there are still many who question the importance of having a domain name attached to their website. So we’ve listed a few of the more important reasons and advantages of having a personalized domain below. Get a personalized domain here! Think of any businesses, brands or services you trust, and whose websites you visit and/or buy from regularly. Likely most, if not all of them, have their own domain name. In this day and age, a personalized domain produces a feeling of professionalism and credibility. It makes your website come across as more serious and trust-worthy than if it did not have a domain. Having a personalized domain also represents and upholds your online reputation. There’s of course nothing wrong with having a web address (URL) that’s long. But having a short and easy to remember domain name will make it much less of a hassle to tell your family, friends, colleagues and acquaintances about your site. A domain name that’s specific to the purpose of your site will also make it more memorable for your visitors, thereby making it easier for them to both find your website and return to it at a later date. Search engines like Google and Bing look at a variety of things when they choose where to list a website in their search results. If someone types in ‘florist Wisconsin’, the search engines will for example look at content on websites that’s relevant to this search. Another thing they look at and consider important is a domain name, as domain names represent the credibility of a site. 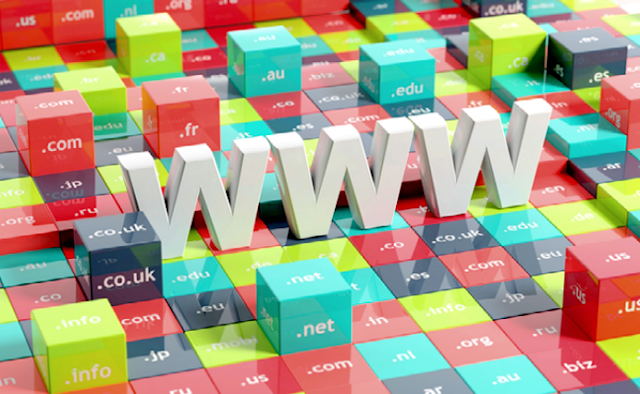 This means that websites with domain names will always be placed higher than sites that do not have one. So having a domain name that’s clearly connected to the content and purpose of your website will definitely increase your visibility in search engine results. With SimpleSite you can create up to 5 email addresses, using your domain name as extension. For example, if John Smith has the domain www.johnsmith.com with us, he can for example create the email address info@johnsmith.com, or contactus@johnsmith.com. Having personalized email addresses doesn’t only come across as very professional to your visitors, it’s also a great way to keep any emails relating to your website separate from your personal email address. Anyone can very easily register a domain name these days, so you probably want to make sure someone else doesn’t get the domain name you want. Perhaps you’re a consultant or an artist, and your brand is you, so the name of your domain name would in fact be your own name. Even if you don’t have any plans of working on your website yet, it’s a good idea to register your domain name already now, before it gets snatched away by someone else. Having your own domain name is also ideal for your reputation and personal branding, because it works as your online identity and/or business card. So there you have it: five advantages to attaching a personalized domain to your website. You can check if your domain name is still available right now! Don’t have your own website yet? With SimpleSite you can be online within minutes.